Summon Batman with this replica of the Bat-Signal! 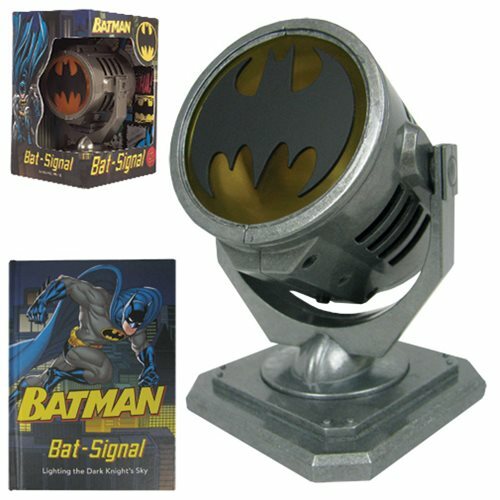 Made of metal, with light-up construction, this 5-inch tall authentically-detailed Bat-Signal will project up to 20-feet away and features 360-degree rotation. Plus, it comes with a 48-page book on Batman and the Bat-Signal. Requires 3x "AAA" batteries, not included. Ages 14 and up.